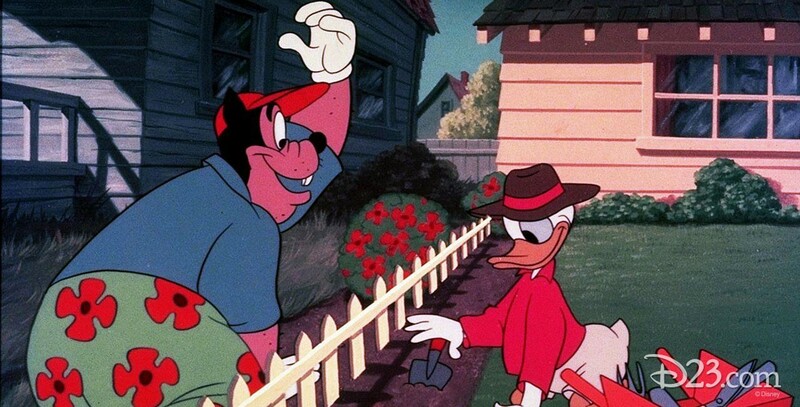 New Neighbor, The (film) Donald Duck cartoon; released on August 1, 1953. Directed by Jack Hannah. Donald tries hard to get along with his new neighbor, Pete, and Pete’s terrible dog, but when Pete borrows all of Donald’s food and throws stuff in his backyard, the fight is on.